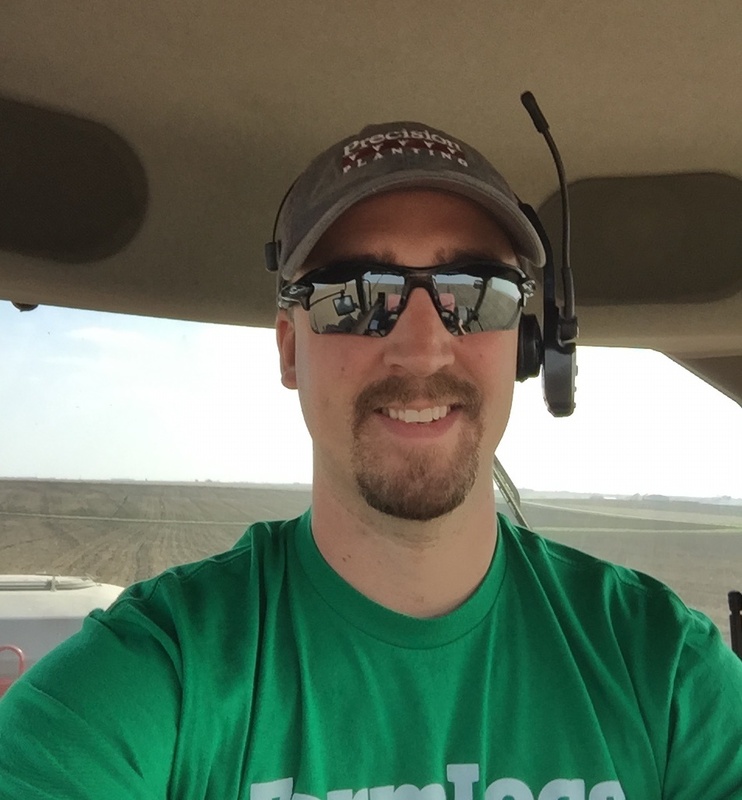 My name is Drew Grundmeyer, and my start in farming has been a different sort of ride. I hold a physical education and health education degree and have been aspiring to find a long-term fit to start my career. In 2013 my grandpa passed on, leaving the family farm of 300 acres in Aurora, Iowa to my uncle to upkeep, maintain and operate. Right before planting in 2014, my uncle passed away unexpectedly at 53 years old. With no one else around to operate the farm, my dad was asked if he would like to take on more acres. First, he asked one of my older brothers if he was at a place in his life to become a farmer. He couldn’t. Then, I was asked. At the time, I was 24 and working as a paraeducator making $11/hour at my first education job. I thought I might be able to give this farming thing a shot. I couldn’t get my foot in the door in education as a PE teacher and thought farming would be a good, new start for me. I jumped in feet first and I became a farmer by renting the 300 acres from my family. My teaching career has changed every year since I have started farming. I still retain full-time employment, but due to budget cuts my position has changed every year. I’m now working as the technology director of the district as well as teaching three different middle school classes. While my headaches and responsibilities have grown, farming has remained consistent for me. It is my escape and has become a great passion. My first planting season was a blur! I’ve always been pretty good at operating a tractor but never had to plant. That was dad’s thing and we, the brothers, were usually the ones running ahead of the planter with some sort of tillage. I could use a familiar tractor, but had to learn how to use my uncle’s 12-row John Deere planter. I got through it, got a crop, and learned quite a bit while doing so. Our operation has never really been the first to try new technologies, update equipment, or operate as a data driven operation. Following a year of squiggly rows, inconsistent planting populations, and a generally tough year, my father, my grandma and I agreed to make some changes to help this thing run long term. We traded some equipment and cleaned up two operations to start making our efforts more functional as one unit instead of two. I stuck my neck out a little bit and bought the planter, dad purchased a quality tractor, and we updated our combine with a yield monitor and globe. We never had one before and in the past, we figured out our yield by using our small bin setup and our over-the-scale tickets. After making these updates, we now had equipment that could help us operate more efficiently, faster, and with less maintenance and repair. Efficiency is a word that is thrown around a lot in agriculture, but to me it means something completely different. I have two personal days to use at my discretion throughout the school year and coach four sports year round, so time is my greatest asset and greatest enemy. 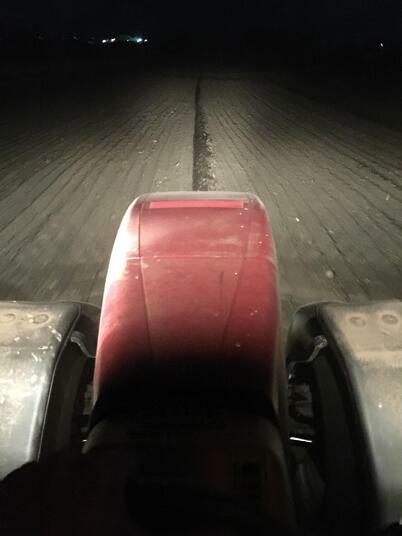 I have to use late nights, weekends, and a lot of fuel to accomplish everything for the planting and harvest seasons. Nearly every weekend I have is spent at the farm: working in the field, fixing something, or doing an odd job trying to maintain three homesteads for the farming operation (my grandma’s place, my uncle’s place, and our home farm). Farming on the 300 acres that I rent wouldn’t be as much of a task, but when I add my father’s farm of over 400 acres onto my workload, I end up having some really busy days. I’ll go from working at the school, to coaching for two hours, to driving 40 minutes to the farm, getting in the tractor and often going until midnight. Then I wake up the next day and do it again until we are done. Dad does what he can without me during the day, but I am the only one now that can run our planter—a 12-row Case IH 1200 with a Pro 700 that Dad doesn’t navigate very well, yet. So, getting in all the corn and soybean acres during plant season gets pretty crazy for me! Before I started farming, I never had to do much thinking on the farm. I don’t have an agronomy degree and I was never very involved in big decisions. After my first plant, I really started getting into this thing. I wanted to learn! I wanted to learn everything. As many of us know, it takes many years to accrue the knowledge of farming, marketing, maintenance, and other practices. I learned that no operation is the same and not everything works for everyone. So, I wanted to start making decisions that were specific to growth, efficiency, and simplicity for our operation. I needed a tool, so I Googled “farm management tools” and started reading about the different tools and platforms out there that aided farmers in their operation. I looked into a competitor because my friend down the road preached about how good it was. I signed up and started using it, but really wasn’t finding anything about the platform that was simple enough for me to use. 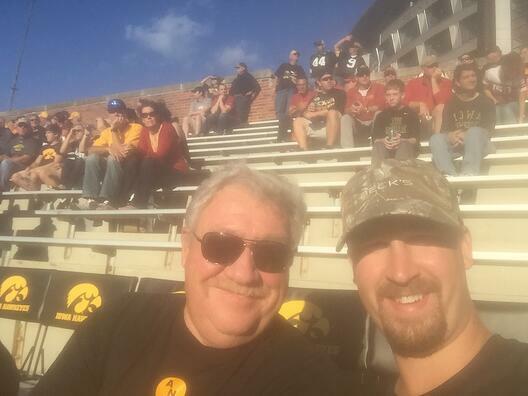 I didn’t want something that limited me, but also wanted something that was easy enough that I could show and eventually transition my Dad into using with me (he’s not a techy guy… at all). Eventually I found FarmLogs. I plugged in my fields and started playing around. I was amazed at the simplicity, look, and the ease of use. I haven’t stopped using it. My main purpose for using FarmLogs in 2014 was to be able to document anything I did on the farm as a point of reference. FarmLogs also gave me rainfall totals and heat units that were very accurate. Both of those features really help out when you are living 40 minutes away and dealing with different weather patterns. The first year I used FarmLogs primarily for record keeping and activity tracking. I started taking notes and becoming a better agronomist. I documented maintenance quirks for the various pieces of machinery and grain handling setup we have at Grandma’s home place. I also took notes for settings on the planter, combine, and tillage machines so that next season I wouldn’t have to go back and find the place where I wrote them down. Having them on my phone is much easier and quicker to find when you are on the road a lot. In 2015 and 2016, I wanted to explore how this tool could help us more. I wanted to see what else it could do to help me be more efficient and to put money back in my pocket. I upgraded my FarmLogs account, so I had access to Automatic Activity Recording (AAR), and Satellite Imagery. AAR was great to see how much time I actually spent in the field. It's a nice tool to have if you need to quantify data, such as time or acres covered. With this data, I can plan for the next year and know how much time I will need to get certain activities done and when I’ll be able to do them. I learned about Crop Health Imagery big time in 2016 when I planted VT Double PRO® Corn versus some VT Triple PRO® Corn. I planted end rows of about 50 acres of VT Double PRO® Corn and the remaining 100 acres of corn I planted went to VT Triple PRO® Corn. The populations and all other variables were exactly the same. Throughout the year, they looked the same and were healthy. We had a really nice growing year with ended up with some strong yields. On September 11, I received a new Crop Health Image in my FarmLogs account that concerned me—the VT Double PRO® Corn didn’t appear to be performing as well as the VT Triple PRO® Corn. I showed my Dad, and he couldn’t believe it. We were amazed and wondered if this would hurt our yield in another month or so when we started to harvest. 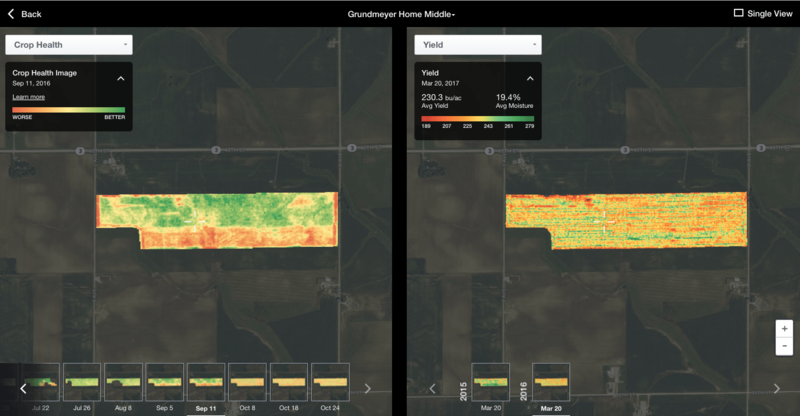 After harvest, I uploaded the yield files into my FarmLogs account and used the Field Data Explorer to see the difference between the corn varieties. 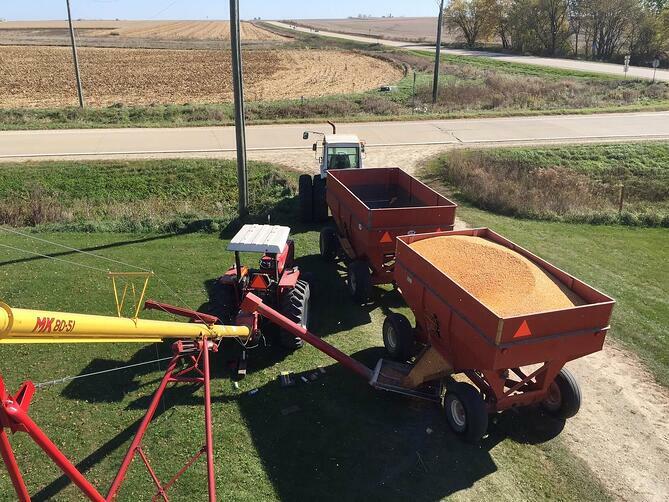 The VT Double PRO® Corn yielded just as good as the VT Triple PRO® Corn and it was much cheaper per bag. Actually, there were some pockets that had our highest yields across the entire 150 acre field. So, I came back with a very influential piece of data from a very simple comparison—we could cut costs on seed and still see high yields. When I ordered corn seed for 2017 I saved nearly $7,000 compared to the previous year from that one adjustment. 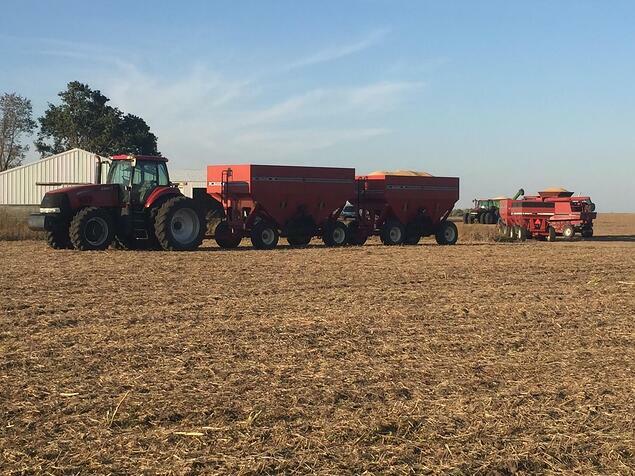 As far as using other agriculture technologies, we are looking into some new tillage practices that can further increase our efficiency and profitability. My grandma is nearly 90 years old and my mom and dad are not getting any younger. We’re beginning to discuss a succession plan and are trying to get some variables under control for the future. Our family wants to remain owners of the homestead. When I began renting, my grandma told me she never wants anyone else to own the land. Dad has told me, “Once land is gone, it's gone for a long time and you don’t always have another shot at it.” I think we all can attest to that. My longterm goal is to someday own our home place and my grandma’s place. I feel it is my responsibility to do whatever it takes to maintain and build the ground my family was raised on and where I want to build a family. I want to be a farmer until I can’t anymore. The biggest thing I’ve learned has come from my dad, “You’ve got 40 chances or so at getting it right. Weather and the choices that you make year-to-year will determine your success.” I’m going into my fourth planting season this year and each year so far I’ve gotten better and better at farming. I’ve learned a little bit about marketing and I’m becoming competent with maintenance. Using FarmLogs as my control every year, I can analyze the changes in our farm practices, rain, and heat from year-to-year to make quality decisions. Looking forward to another great season with FarmLogs! 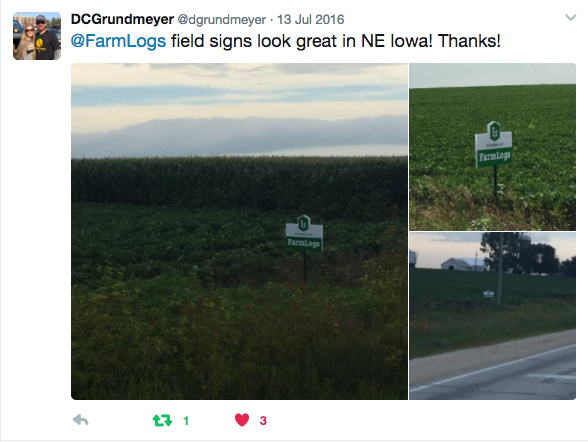 Follow Drew on Twitter @DCGrundmeyer to see more photos and ask him any questions you might have! 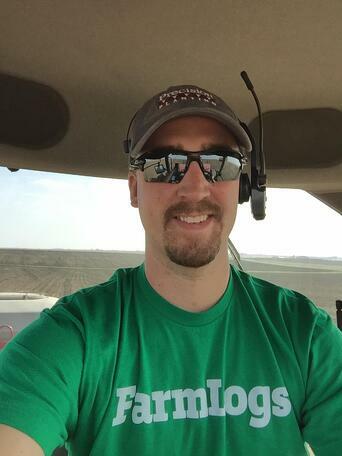 Drew Grundmeyer is a corn & soybean grower in Aurora, Iowa and has been a FarmLogs user since 2014. He currently runs his family farm while also working as a middle school teacher. 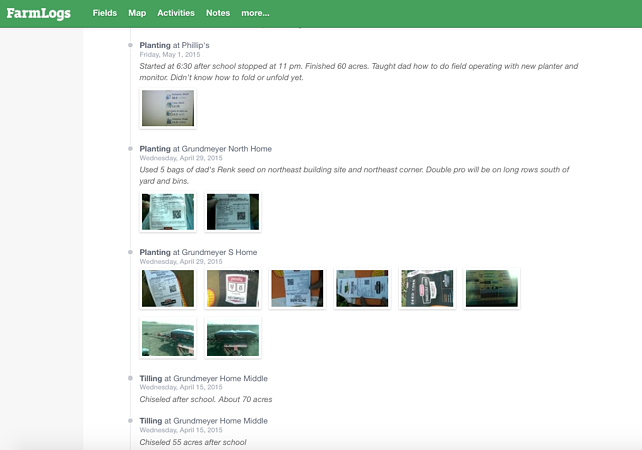 Share: "When we're out scouting, we all have the information we need right there in the app."